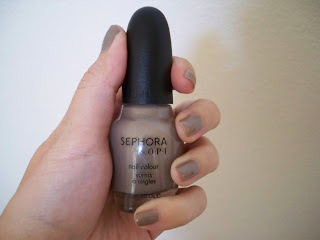 My last trip to Sephora resulted in only one measly purchase: Sephora by O.P.I. in "Underneath my Trench Coat." 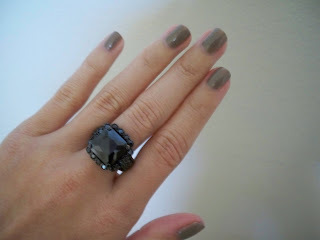 Even the sales girl commented on how pretty this nail shade will be for Fall. It is different from any other color I own, which is why I had to get it. It's a taupey-brown with light gold shimmer. It has such a soft, pretty sheen. It has definitely put me in the mood for Fall! I also want to rave about the Sephora by O.P.I. polishes. The brush is so narrow, making application a breeze. And the formula is so creamy and smooth. I want to buy a bottle in as many colors as possible!